Patrick Brown's bid to regain the leadership of the Ontario PCs is unprecedented in many ways, but he isn't the first leader on the outs to try to get himself back in. There is a long and sad history in this country of party leaders failing to take the hint. 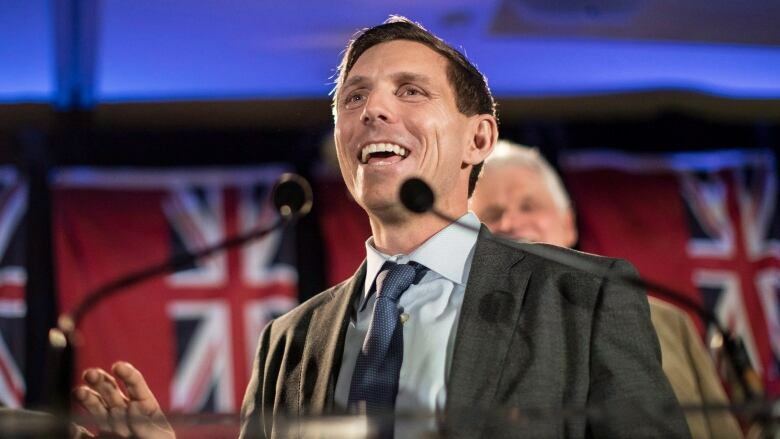 Patrick Brown might end up writing the newest chapter in that history — if members of the Ontario Progressive Conservative Party end up rejecting his bid for the party leadership he resigned 29 short days ago. Following a stunning series of reversals for Brown — the emergence of sexual misconduct allegations that forced him to give up the leadership, lingering controversies surrounding nomination contests, the culling of thousands of memberships from the party list, questions about the financing of Brown's mortgage cited in a report by the Globe and Mail and allegations of impropriety raised by PC MPP Randy Hillier related to foreign trips involving a young party intern in a romantic relationship with Brown — the independent MPP for Simcoe North (Brown was ejected from the party's caucus last week) was approved by the Ontario PCs to stand as a candidate for the leadership on Wednesday. While the circumstances of Brown's comeback attempt might be unprecedented, he isn't the first party leader on the outs to try to get back in. But past examples — some of them pretty infamous — don't offer Brown much in the way of encouragement. In 1967, after four years leading the opposition and with two election defeats behind him, John Diefenbaker was forced into calling a leadership convention by members of his own Progressive Conservative party. Diefenbaker put his name forward, but he had little support. He finished in fifth place on the first ballot with only 12 per cent of the vote from party delegates. When he was eliminated on the third ballot, his support had fallen to just five per cent. He endorsed Duff Roblin to replace him, but the Progressive Conservatives chose Robert Stanfield instead. The same thing happened to Joe Clark in 1983, when he secured only 67 per cent support for his stewardship of the federal PCs and called a leadership convention. It turned out to be a bad move. 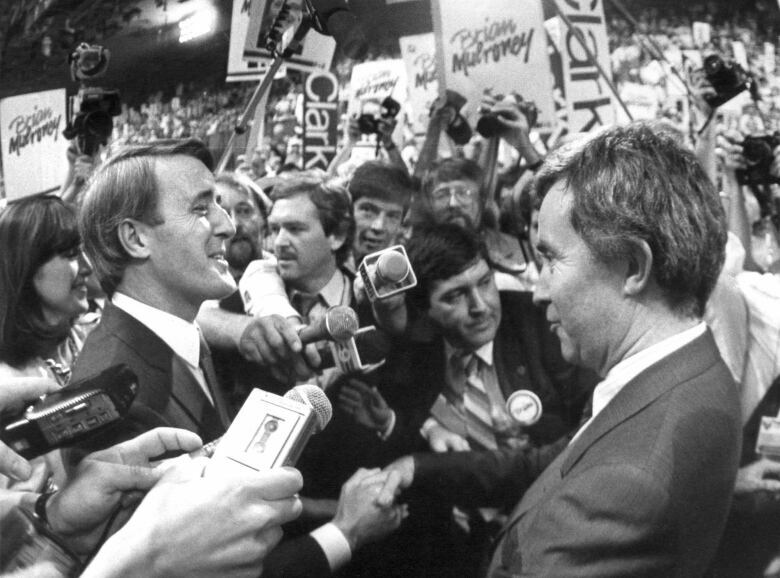 Though Clark led on the first ballot with 36.5 per cent support, he lost on the final ballot to Brian Mulroney — one of the candidates he had defeated in the 1976 leadership race. In 2001, after a clutch of MPs left caucus to protest his leadership of the Canadian Alliance, Stockwell Day called a leadership campaign. Day took 37.5 per cent of the disgruntled membership's vote on the one and only ballot, losing to Stephen Harper. These three cases, however, differ greatly from Brown's experience in some important ways. Diefenbaker, Clark and Day had all contested and lost elections. Diefenbaker and Clark each had been leaders of their parties for extended periods of time. When he resigned, Brown had been in the job for less than three years. And unlike Brown, Diefenbaker, Clark and Day all left without a cloud of personal scandal hanging over them. That was not the case for Gordon Wilson of the B.C. Liberals, who lost a leadership vote in 1993 after revelations of an extramarital affair with a recently-promoted member of his caucus. He took just eight per cent of the vote that selected future B.C. premier Gordon Campbell as his replacement. If these four examples aren't enough to give Brown second thoughts, there are others. In 1954, the Manitoba Progressive Conservatives forced a leadership vote that ousted Errick Willis following five consecutive election defeats. After resigning the leadership of the New Brunswick PCs in the wake of his defeat in the 1967 provincial election, Charles Van Horne tried to get it back in the 1969 PC leadership convention. He lost to future premier Richard Hatfield. And while he managed to defeat Joey Smallwood's own comeback attempt in 1974, Edward Roberts lost his leadership of the Newfoundland Liberals in 1977 to Bill Rowe. But there have been a few cases of leaders managing to regain their leadership after giving it up or seeing it challenged. In 1969, Smallwood managed to hold the leadership of the Newfoundland Liberals with 62 per cent of the vote on the first ballot after initially retiring from the job — and subsequently changing his mind. It was hardly a unifying moment, however, as the race exposed divisions within the party. Smallwood ultimately formed his own party offshoot, which contributed to the Liberals' defeat in 1975. Like Smallwood, Robert Nixon had announced his resignation as leader of the Ontario Liberals after a disappointing provincial election in 1971 but entered the race to replace himself after a change of heart. The Ontario Liberals decided to stick with Nixon in 1973, giving him a third ballot victory with 58 per cent of the vote. The party had an improved showing in 1975 but still failed to take power — and Nixon subsequently stepped aside for good. 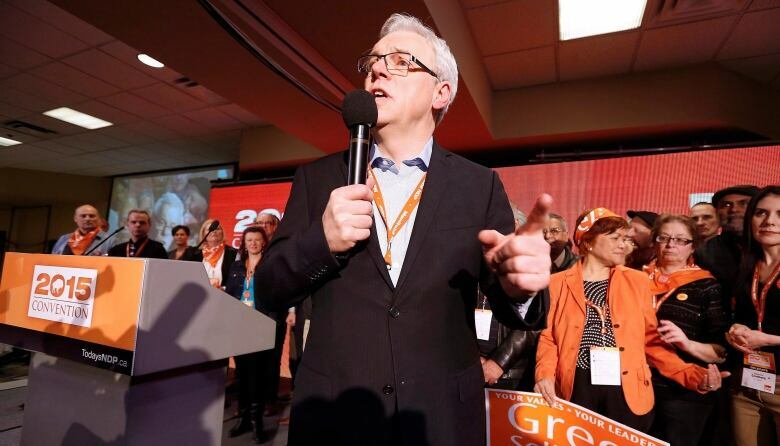 More recently, then-premier Greg Selinger faced a revolt within his own Manitoba NDP caucus in 2015. After calling the rebels' bluff and holding a leadership convention, he managed to narrowly hold on with 50.9 per cent of the vote. But Selinger's unpopularity with voters (one of the reasons behind the revolt) was undiminished. In 2016, his party went down to its worst electoral defeat in nearly 30 years. Undoubtedly, the historical precedents are not promising for Brown — even without taking into account the unique circumstances in which he finds himself. But the Ontario PC leadership race has broken many Canadian political precedents already. What's one more?